Many small businesses print their own logo on to plastic bags as it can be more cost effective than buying them in bulk already printed. Printing your own bags gives you greater control if you want to change the logo, or even print some to advertise a particular promotion. 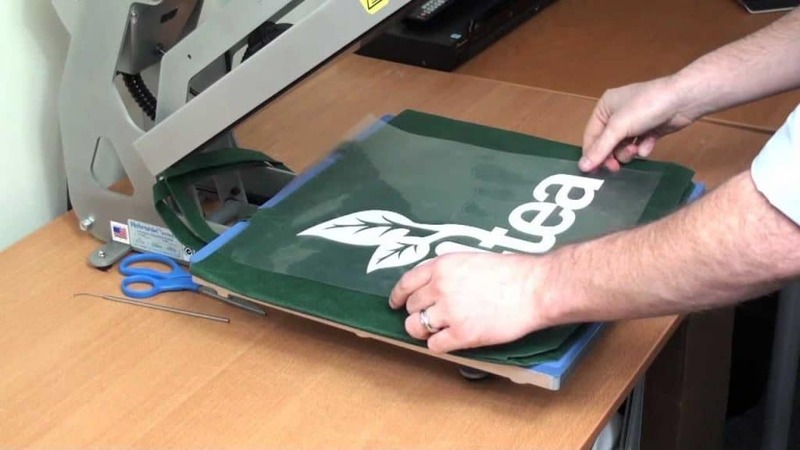 Most large companies use screen printing as a method to print bags, but this can prove to be quite expensive for a smaller business. If you have a heat press, it is possible to use a heat press to print on to your bags, as long as you print carefully and with caution. 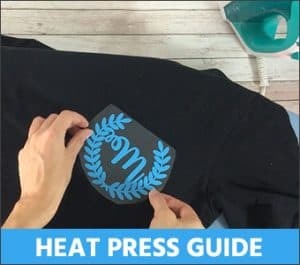 Printing on to plastic using heat can be a tricky business, so you need you have a good understanding of how a heat press works before you start finding out how to print on plastic bags. You also need to research your materials thoroughly as these can greatly improve your chances of successfully printing on to a bag. 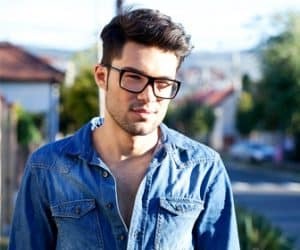 The biggest problem you face is that by the very definition of a heat press, it uses heat, and in order to seal the ink from the transfer, it has to be very hot. 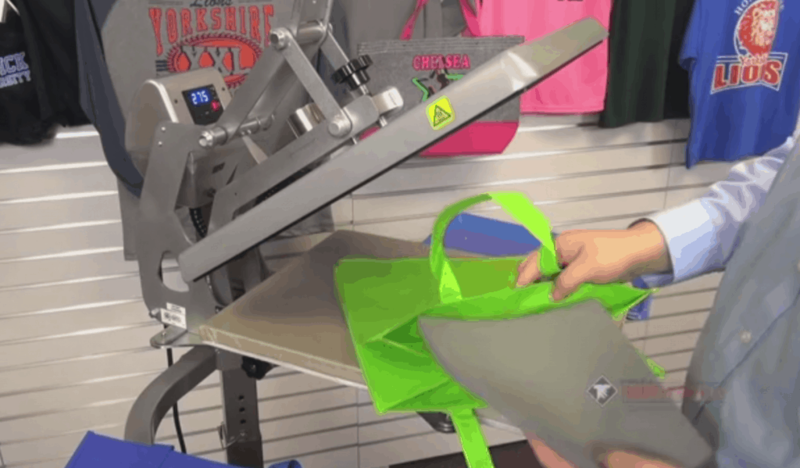 Plastic bags are not designed to be heated and they will simply melt, so how do you use your heat press to print on plastic bags? Given that most plastic bags melt when subjected to high temperatures, safety is of paramount importance when attempting to print on to them with your heat press. You should never try printing straight on to a normal polythene bag as it will melt and potentially cause a fire. Melted plastic can also be extremely difficult to clean off a heat press, even if you have a Teflon pad. The best sort of bag to use is polypropylene. Polypropylene bags do not melt the same as a plastic bag, and they are also just a little bit stronger too. To keep both you and your heat press safe, the best way to start is to exercise patience. First try printing on to your bag using a lower temperature, and then gradually increase the heat until you find the right temperature to bond the transfer and the bag. You can also alter the time as leaving the heat on for too long can damage the bag in the same way as simply applying too much heat. Testing in this way will of course mean you use up a few transfers and bags, but this is better than replacing a heat press which is no longer useable as it is covered in melted plastic. If you plan on printing on plastic bags, it’s worth investing in a heat press which allows you full control over your all aspects of pressing. Flat plates are obviously the best to choose as the bag can be laid out to avoid any creasing. You will also need a heat press which allows you to control the pressure. If you apply too much pressure the bag could seal itself together in the middle. The best choice of press is one which allows you complete control over pressure, temperature and time. You will need to test many different combinations of time and heat until you get the desired effect, so it’s vital that you have total control over what you are doing. Some presses are advertised as being capable of printing on to bags, but don’t take their word for it. One big step on how to print on plastic bags is to check out how effectively a heat press will press on to plastic or polypropylene bags. First check the guide for each press to see exactly what it can and cannot print on to, and if possible visit some forums to check with other people who have used that make of heat press. Their experience of the machine will prove invaluable to you finding out if it is suitable for plastic bags. 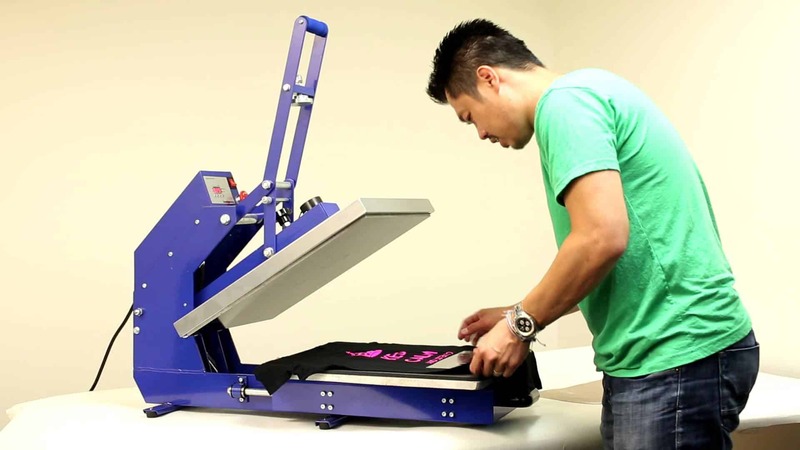 READ MORE: Our Recommended Heat Press Machines For Beginners! The worst thing you can do is heat up your press, lay down the bag and transfer and press them together without testing. You must ensure you have calculated the right combination of heat and time before you get started. You need to make sure you protect your heat press as well, just in case something goes wrong. Most Teflon sheets will protect the plates and they are easy to clean. Burned on plastic, however, can be somewhat more difficult to remove and may result in you having to buy a replacement sheet. So to find out how to print on plastic bags, you need to find a way to protect your plates and Teflon sheets from melted plastic. So what can you do? One simple solution is to use normal parchment paper. This is readily available in most grocery stores. The paper is designed to be non-stick and it can withstand high temperatures. If your bag melts on to it, you can simply throw it away and cut another piece of parchment. If you place a piece of parchment paper on top of your bag and transfer paper, you can be confident that your plates won’t be damaged by melted plastic. It may also be useful to place some parchment paper inside the bag to prevent the heat from sealing the front and back of the bag together. Trying to keep the bag flat on the plate can be a problem. A Teflon pillow or print perfect pad can help you with this. If you place this inside the bag where your transfer is going to go, this will raise that part of the bag so that only that area is pressed. If you use a larger pad or pillow, you can tuck the top of the bag underneath, which will help to keep it in place while the press prints. These pads or pillows are available in various sizes and are reusable, but it’s still worth placing the parchment paper in the bag just to prevent any problems. Check out this awesome tutorial to print on a plastic bag. Before you start finding out how to print on plastic bags, do your research and do it well. Most bag suppliers will offer polypropylene bags but it’s worth taking the time to find out if some are designed to work with a heat press. It’s also worth remembering that paying a little extra for a slightly better quality of bag can make a big difference too. If you find a supplier which offers bags you can use with a heat press, ask them for a sample before you place an order. A reputable supplier will be happy to provide you with this as they will have confidence that their bag will do what you want it to. The same applies to your vinyl transfer. Most of these are designed to work at higher temperatures so you may not be able to use the ones you already have. You need to find a transfer which works at lower temperatures, so it will pay to ask around. Again, if you find a supplier who offers these, ask for a sample. When you are experimenting with temperatures while you find out how to print on plastic bags, you can cut your vinyl transfer in to smaller sizes so that you don’t waste too many. You don’t need to print the whole image: just enough to find out if it bonds with the bag. As already mentioned, it’s best to start printing at a low temperature. The melting point of a normal polythene bag is only around 200 degrees Fahrenheit which is not high enough for any transfer to seal. The melting point of a polypropylene bag is much higher, at approximately 330 degrees Fahrenheit. Be careful though. If you set your heat press to this temperature the first time you try to print, then you could be courting disaster. The best way to find out how to print on plastic bags is to gradually increase the temperature until your transfer forms the perfect seal. Some polypropylene bags will seal a transfer at 275 degrees, but as all machines vary, it’s best to practice until you know you have it right. Contrary to what some people will tell you about how to print on plastic bags, it is possible to do this with a heat press. 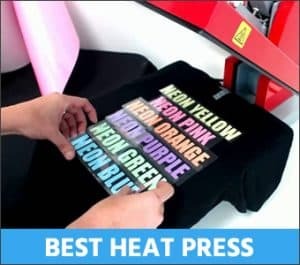 By following these tips you can get the best out of your heat press and ensure it isn’t damaged in the process, but it may be advisable not to try printing on plastic bags until you have some experience of using a heat press. 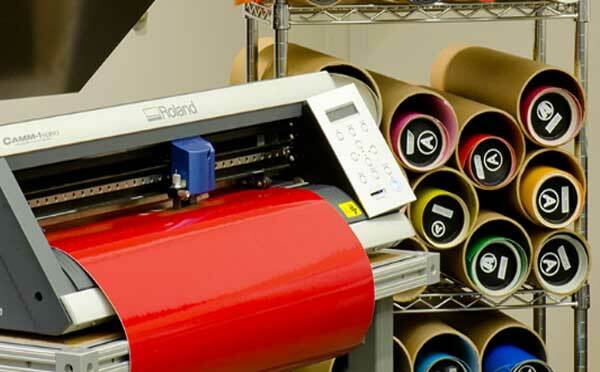 If you take the time to research the best materials and the best method, your bags will look every bit as professional as screen printed ones, but you won’t have to order in bulk to get a good price.